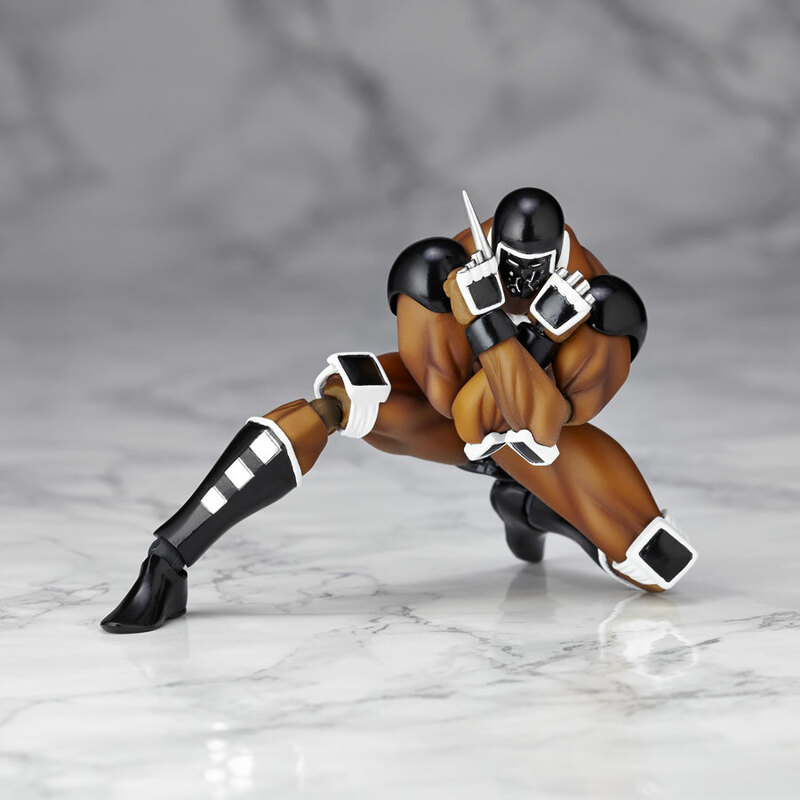 The mad Russian choujin wrestler is getting a miniaturized action figure courtesy of Kaiyodo. 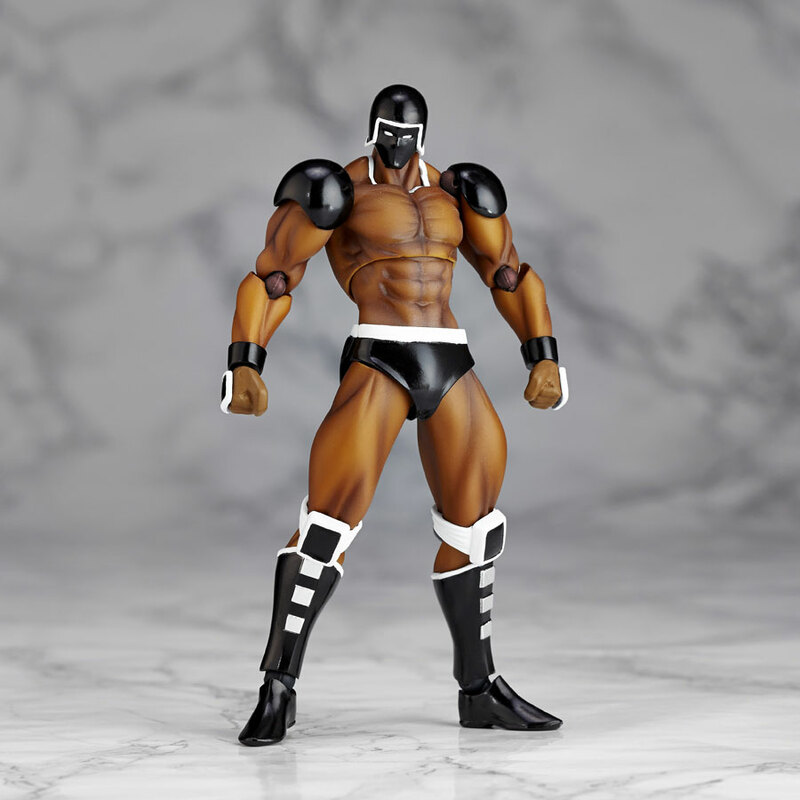 More than just a man and more than just a machine, Warsman stands about 12.5 centimeters tall (roughly four inches) and features a highly detailed musclebound body. 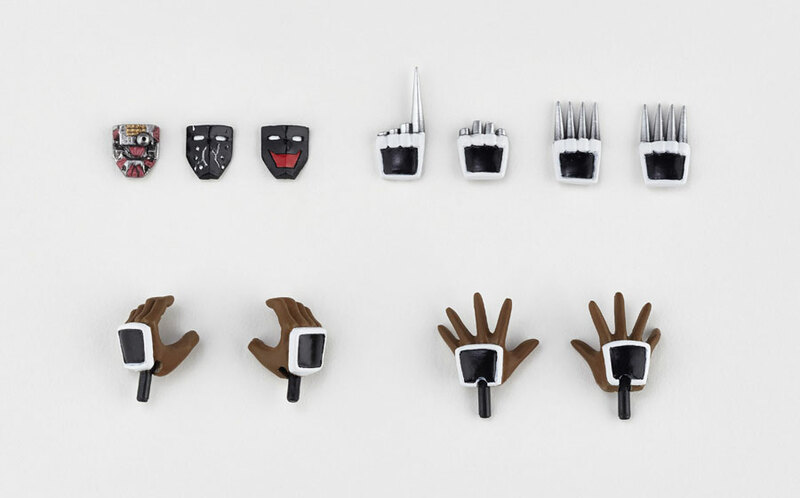 His accessories include four optional faces (normal, damaged, Warsman smile, and unmasked), four types of Bear Claw for his hands, multiple hand parts, a corner post, a stand, and a stand adapter. 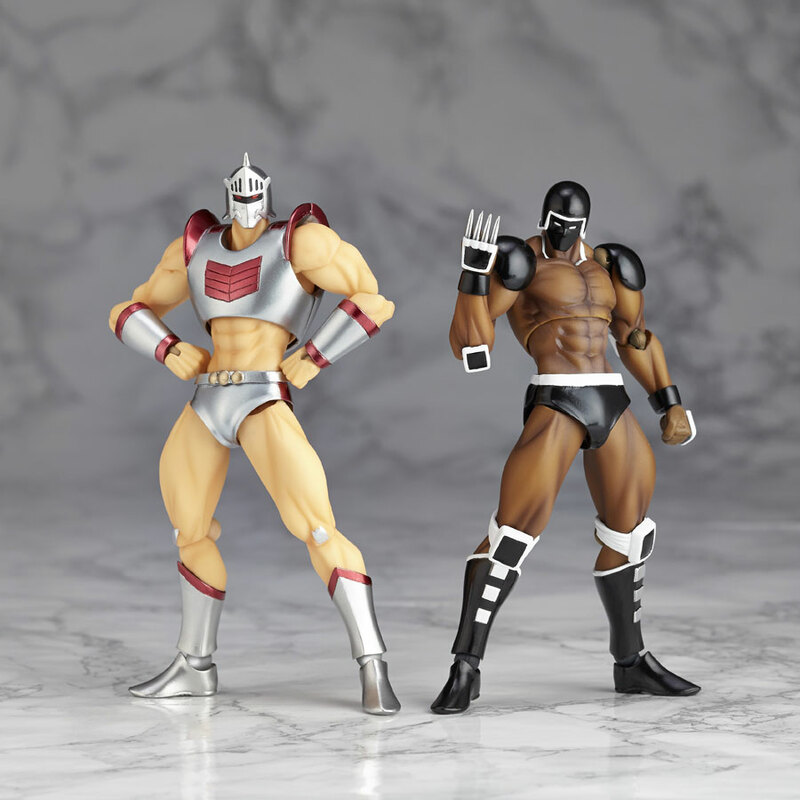 Coming February 2015 for 3,300 yen.